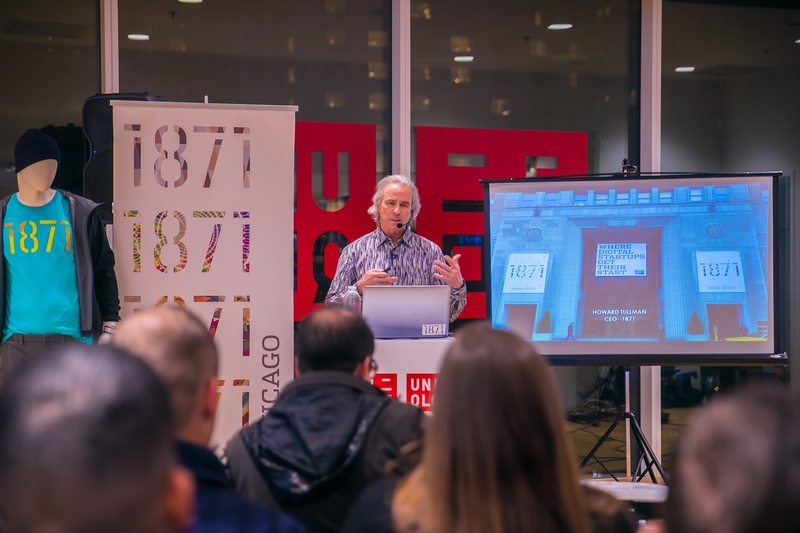 Last week, 1871 CEO Howard A. Tullman spoke in front of a packed room at UNIQLO’s Michigan Avenue flagship store to kick off Chicago Made: Innovating for Tomorrow, a free four-part series covering topics on sustainability, global tech trends, social impact, and retail. Chicago Made is a joint effort between 1871 and UNIQLO and will run every Thursday from 6-7 p.m. (CDT) at UNIQLO’s Michigan Avenue store through March 1st. 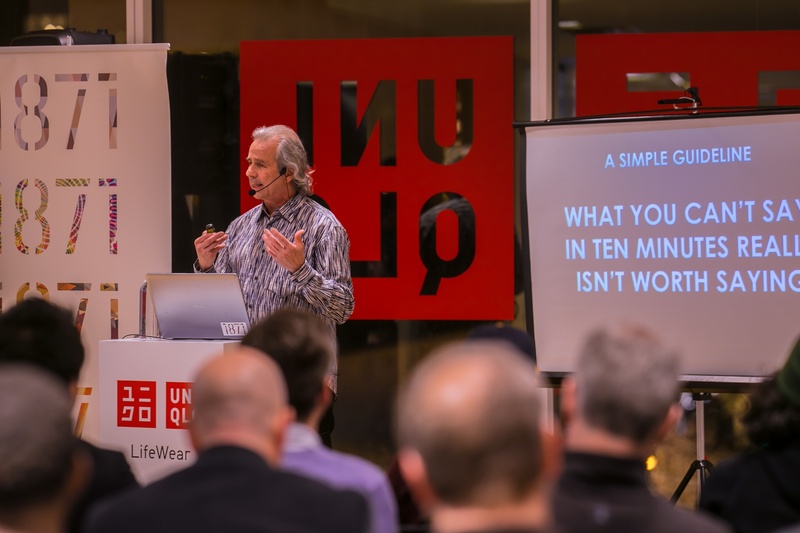 Howard A. Tullman presents "Futureproofing Your Business" at UNIQLO on February 8. A few decades ago, if you asked someone to list their dream job, you’d probably hear the following: professional athlete, rock star, celebrity -- but today, you’re likely to hear another word: entrepreneur. After dozens of Steve Jobs biographies and years of Shark Tank, it’s no surprise that entrepreneurs are now synonymous with cool. But here’s the thing, an idea without execution is nothing more than a passing thought. So the question is, how do you execute? 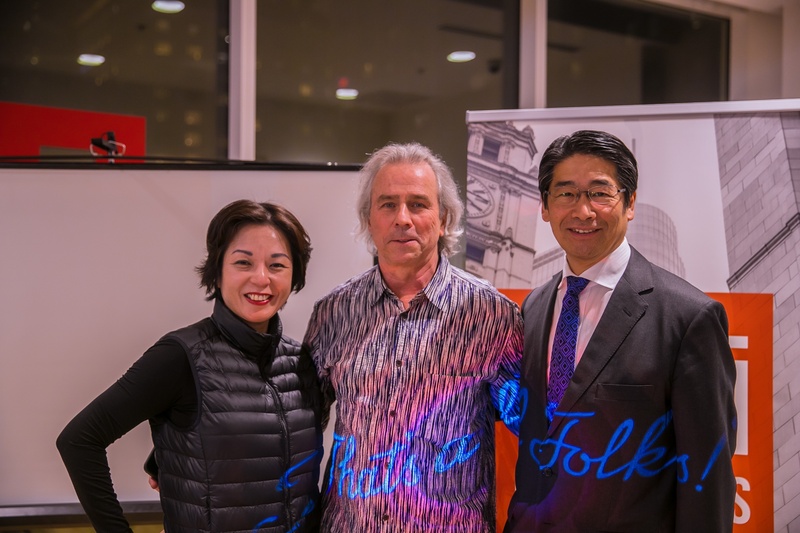 You have to ‘futureproof’ your business -- which was the topic of 1871 CEO Howard A. Tullman’s talk last week at UNIQLO’s Michigan Avenue store. If you weren’t among the ambitious innovators and entrepreneurs who attended, don’t worry -- we’ve put together some key takeaways. It sounds obvious but surprisingly, many people just don’t put enough work into their business. Maybe they lost their vision, maybe they started to make small excuses that later ballooned into larger ones; the point is, your business cannot survive unless you have a good work ethic. We get it — work isn’t always the sexiest part of running a business, but like broccoli, it’s what’s best for you. Tullman suggests that, much like rock stars rehearsing the same songs for hours at a time or athletes practicing the same play for hundreds of hours, entrepreneurs must also be willing to roll up their sleeves, jump into the trenches, and get things done. as well. Much like how you would talk about yourself, you should always be able to succinctly and simply tell your company or product’s story. If you’re an entrepreneur, you also want to ensure that you clearly communicate your vision and goals to your team and, just as importantly, how you intend to meet them. 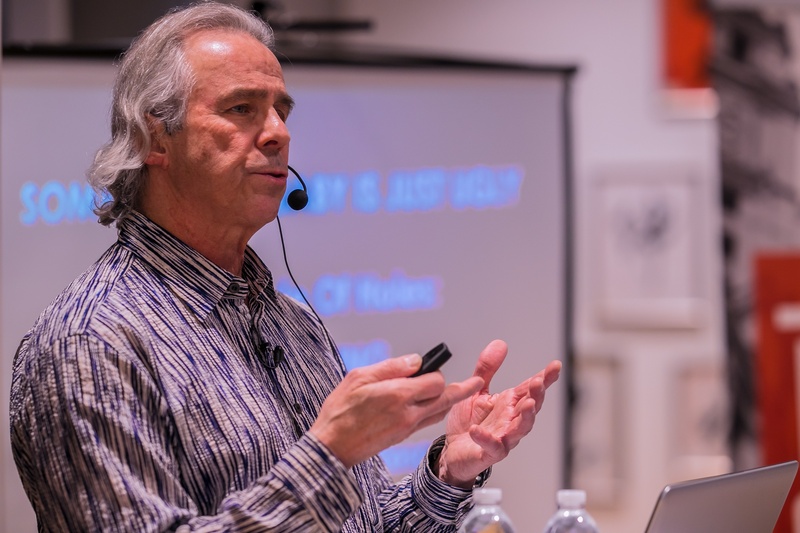 But even if you have a strong story to tell, Tullman says that even the most articulate messaging doesn’t mean anything if you’re not telling the truth. You can’t be all things to all people and that’s why it’s so important to spend your time doing the things that will actually add value to your mission. There’s not enough time or resources for even the most hard-working entrepreneur to do it all -- that’s why Tullman says entrepreneurs should put all of their effort behind the things that they can do better than anyone else. There’s a saying in the entrepreneurial community and it goes like this: 'You want to keep getting better or faster -- or someone else will.’ No matter what industry you’re in, no matter which products you offer, there are two business truths that you should always remember; that there is absolutely no finish line, and that someone is always right behind you. There’s no question about it -- you’re going to feel down at times and you’ll wonder why you even started your business or built your product in the first place. That’s why you need to truly believe in your mission because if you don’t, you can be sure that no one else will. Tullman says that, all too often, the only limitations that entrepreneurs face are the ones that they set upon themselves. Many seasoned entrepreneurs share a common trait -- perseverance. While there are many qualities that make a great entrepreneur, the ability to put one foot in front of the other when times are tough is often the difference between a failed and successful business. One of the best ways to keep going in the midst of chaos is to remember that you’re doing something that’s bigger than yourself; remember, building a business is often just as important for your community as it is for you. It’s also important to keep in mind that things are never perfect. In fact, many businesses fail because they wait too long for the perfect moment to get the ball rolling. When you’re building a business, the worst thing you can do is surround yourself with people who are just going to agree with everything that you say. Instead, it’s far better to hire people who have diverse opinions and backgrounds. Tullman also suggests hiring -- and listening to -- people who have more expertise than you in certain fields. Many entrepreneurs are often embarrassed to change their mind, or they have a blueprint that they’re not willing to deviate from -- often to their own detriment. The best leaders are the ones who are flexible and can roll with the punches. Remember, what worked one year ago, or even one day ago, may not work today. The most successful entrepreneurs aren’t the ones who want to make a fortune; rather, they’re the ones who want to make a difference. While there are many setbacks that entrepreneurs may face in their journey, the worst of them is when an individual or a team wastes their time doing something that really doesn’t matter to them. February 15: Breaking Ice: Improving Inclusion at Work with Julie Felix, Manager of Diversity and Inclusion, Mesirow Financial, and Tom Alexander, COO, 1871. February 22: Chicago Made Better: Entrepreneurship for Social Good, a panel discussion featuring a dynamic group of Chicago entrepreneurs with social impact missions. March 1: Behind Bitcoin: Why Your Cash Is Going Digital by Joe Hernandez, Founder of the Chicago Blockchain Project.